I’ve been writing a book (TV/movie/rant) blog for a few years now, and I’ve always been more comfortable with a written format as a content creator*, but as a content consumer I’ve noticed that — given that I’m at a desk for most of my work day — YouTube has become the main way that I listen to opinions on makeup, books, film, etc. I’m toying with the idea of moving my blog into a YouTube channel, but I’m not 100% sold on the idea. I’m not worried about abuse or hecklers — I’ve been a feminist on the internet for long enough that nothing really shocks me that much anymore. I’m more wondering if anyone here currently watches YouTube, or if it’s still very much a “teen” medium (which I’m not sure I’d be able to cater to). 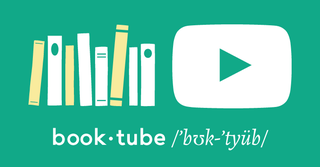 If you do watch YouTube — and specifically BookTube — what do you like/not like, what would you want to see? What kind of personalities do you prefer? *I know this is a douchey way to say it, but I figured ‘writer’ would be redundant, and wouldn’t make sense for a format switch.